Samsung Electronics’ share of the Chinese smartphone market will drop to below 2 percent in the fourth quarter, according to Strategy Analytics. According to the report released last week by the US research firm, Samsung ranked ninth in the world’s largest smartphone market, with a 2 percent share in the third quarter. This share is predicted to further drop to 1.6 percent in the fourth quarter, according to SA. Samsung, once the dominant player in China with a share of around 20 percent, has gradually seen its market share fall with the rise of local alternatives including Huawei, Xiaomi, Oppo and Vivo. The combined share of the four companies stood at 66 percent during the third quarter, though the figure is predicted to decline to 57.3 percent in the fourth quarter due to Apple’s upcoming iPhone X, according to the report. 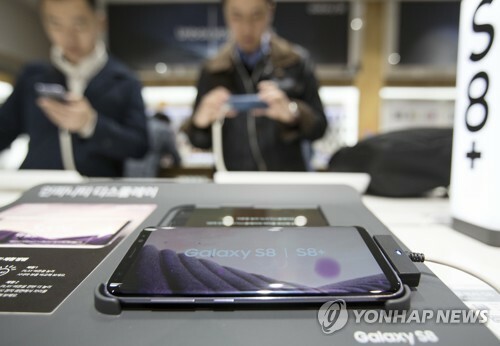 “It seems almost impossible for Samsung to upend the Chinese smartphone market reorganized by local firms with quality products and affordable prices,” said Lee Byung-tae, a professor at KAIST College of Business. Samsung cut around 20,000 jobs in China over the past two years and replaced the head of its Chinese unit in spring amid weak sales. Meanwhile, Samsung’s rival Apple was the only foreign brand in the top five in China. It had a 7.2 percent share in the third quarter but the figure is expected to rise to 10.7 percent due to its upcoming 10th anniversary smartphone iPhone X, according to Strategy Analytics.